Natural Oils are a significant and necessary part of healthy hair care they have a variety of benefits and are so important to hair growth because they provide the slip and protection our hair needs to maintain its moisture and prevent breakage. Oils can be categorized in many ways but for the purpose of this article the two categories used will be Penetrating oils and Coating oils. 1. Coconut Oil – Once coconut oil enters the hair shaft it actually has the ability to patch and protect the hair from the inside out. It is light in weight and non greasy and one of the highest recommended oil for promoting healthy hair. It’s an excellent conditioner, helps prevent dandruff and is wonderful for scalp massages. 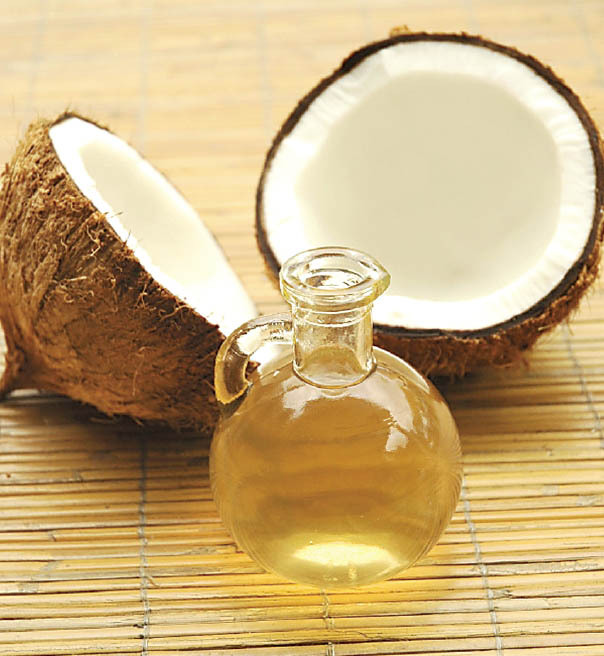 Refined or unrefined coconut oil acts as an excellent moisturizer. I like to use the Lou Ana All Natural Coconut Oil it is refined, but it works great for my hair. 2. Olive Oil – A light oil that also penetrates the hair shaft. Main benefits include sealing, reducing split ends, strengthening hair from the inside out, and conditioning. Olive oil can be added to shampoo to protect the hair from getting stripped it is also great as a pre conditioning treatment before shampoo (prepoo). I personally love to use EVOO in my deep conditioning treatment, and in my leave-in mixture. I use either Member's Mark Extra Virgin Olive Oil or Pampa Pure Soybean & Extra Virgin Olive Oil from the Dollar Tree. 3. Avocado Oil – Comprised of beneficial nutrients such as vitamin A, E and D, protein, copper, magnesium, iron, folic acid, and amino acids. All these nutrients are vital for hair growth and health; it also conditions the hair and helps with moisture retention. Avocado oil is also a great addition to deep conditioning treatments, I love to use the Olivado: Extra Virgin Avocado Oil which works great. 4. Castor Oil - This is heavy oil that is one of the best sealants because of its structure. It conditions the hair giving it the strength and resilience it needs to stand up to daily care. It promotes hair growth, moisturizes the hair, hair appears thicker with consistent use, and helps tames frizz. 5. Grape Seed oil – Also known as a carrier oil for other essential oils, in other words you can add any strong essential oil that may need to be diluted to grape seed oil. Grape Seed Oil is used to nourish the scalp, prevent against dandruff, it contains Vitamin E and linoleic acid and can also be used as a natural heat protectant due to its properties. 6. Jojoba Oil- the structure of jojoba oil is the closest to the makeup of the sebum that is naturally produced from the scalp. This makes the oil highly superior for nourishing the scalp; it has anti bacterial properties which keeps the scalp and hair healthy. I should give this product a try. You and Agatha have very good hair. i use olive oil, but i see a lot of natural hair blogs swearing by coconut oil, will def give it a try!